We are all more than aware that fuel prices are starting to become untenable. A recently survey conducted by MoneySupermarket.com revealed that nearly one million motorists are now prepared to give up driving altogether due to rising fuel prices. Major car manufacturers such as Nissan have been quick to develop vehicles which do not rely on fossil fuels. It currently costs the average motorist about £1,870 per year in fuel costs alone to run a normal fossil fuel vehicle such as a Ford Focus. In comparison, it is believed that it would only cost £350 per year to charge up Nissan’s new all electric Leaf model using mains electricity in order to complete the same distance. However, one of the major problems with such vehicles is the high initial purchase costs which are beyond the reach of the average motorists. The Nissan Leaf costs over £12,000 more to buy from new than a Ford Focus; an additional expenditure which would take almost 8 years to recoup in fuel costs alone before overall savings began to be experienced. In addition to this they are also very impractical; with Nissan new electric Leaf model only capable of completing 100 miles between charges; with recharges taking multiple hours to complete. This problem is compounded by the lack of recharging stations which are currently in place throughout the country. One major manufacturer who is aware of these issues is General Motors (GM). GM’s vice Chairman Tom Stephens recently stated at the Renewable Fuel Association’s 15th Annual National Ethanol Conference that while electric and potentially even hydrogen are the future of the automotive industry; they simply are not ready to become mainstream yet. In the interim, Stephens believes that bio-fuel vehicles are the ideal solution and is therefore calling on governments in developed countries to create initiatives to encourage the expansion of bio-fuel filling stations. Biodiesel is currently the most popular bio-fuel on sale in theUKdue to it being readily available in a large number of petrol stations throughout the country. It is produced from oils and fats. Biodiesel mixtures featuring only 5% oil are commonly available in petrol stations across the country due to government support, but it is possible to either buy or even make bio-fuels at home which are completely devoid of diesel altogether. The only problem with this potentially is that cooking oil can freeze in the winter, so mixtures of at least 50% with diesel are recommended. However, in the summer months it is theoretically possible to run diesel vehicles using only cooking fat. One man who has taken such a route is James Morfee fromSomersetwho produces his own bio-diesel from used cooking oil which he has purchased from local restaurants for 10p per litre. Once he gets it home, Mr Morfee strains the oil to remove loose debris and puts it into oil drums where it is heated along with other chemicals including sodium hydroxide for a period of time and finally left to calm for a week before it is used in Morfee’s diesel Saab. The exact recipe for Morfee’s biofuel mix is available upon request, but he claims that the total cost of the combination is only 18p per litre compared to £1.40 at his local petrol station. This therefore has the potential to save him £1,600 in fuel costs every single year. Along with the potential problem of frozen fuel in the winter is the issue of warranties which could become void due to manufacturer warnings not to use bio-fuels of which only a small percentage is diesel. This could leave motorists seriously out of pocket in the event of a breakdown occurring; even if it has not been caused by their usage of bio-fuels. This is a potential loophole that car dealerships and manufacturers are more than happy to exploit. There are also currently ethical problems associated with bio-fuel usage; with environmentalists warning that bio-fuel production is potentially a more profitable option for farmers than food production. This could not only be detrimental to the animals in terms of the land available for them, but could also push up the basic price of food at the shops for all consumers. 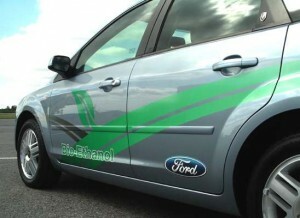 Which cars can use biodiesel? Biodiesels will not work in all diesel vehicles because not all manufacturers have modified their diesel engine designs to accommodate the use of such fuels. Volkswagen diesel cars for example which were designed before 2004 have far less sensitive fuel injection systems than newer versions and will therefore be more likely to accommodate bio-fuels with a very low percentage of actual diesel in the mixture. Volkswagen recommends only using biofuel’s with a 5% blend on its modern machines; a mixture that is now commonly available in most refilling stations across the country due to government pressure. Interesting to note is the fact that Vauxhall vehicles will not run on high blend bio-fuel’s unless modifications are made to the engine. This is despite GM’s support for such concepts. It is therefore recommended that you do not attempt to use bio-fuels before checking with your vehicle manufacturer first.